Seasons Greetings | Watts Up With That? WUWT will resume regular programming the night of December 25th. December 25, 2009 in Announcements. Simply having a sceptical Christmas time ! Happy Christmas as well to yourself, the moderators, everybody involved in the site and their families. You have given a great deal of pleasure, and much information, to many people throughout the world and have let them know that they are not alone in their beliefs about AGW. I thank you. To all who read this website I also wish a very merry Christmas. Merry Christmas an have a Happy New Year to all. May you have a merry and hearty Christmas mateys. You are alright bonzer beauties as they used to say until it was abbreviated to orlright. In the land ahead of time, Orztralia, Christmas is winding up. Happy Xmas to all at WUWT. A beacon of sanity in a mad, mad world. A great year for the AGW sceptics, led largely by this blog. Happy Christmas to all the WUWT team and thanks for a fabulous year of erudition and entertainment. There’s a cheque in the post. To Anthony, the moderators and all posters here, have a Merry Christmas and a good New year. Happy Christmas to all, even to jones et al…..
Merry Christmas and a Happy New Year to you Anthony and your family. And to all the moderators. And to all the commentors and lurkers. It’s been a heck of a year! 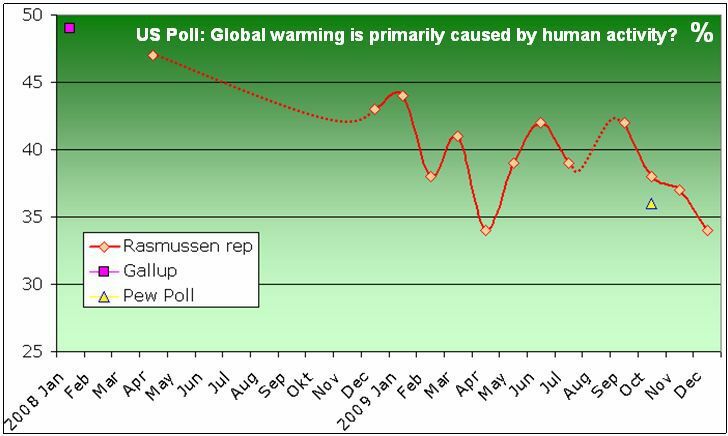 Let’s all hope for further progress in the struggle against AGW in 2010. In the meantime enjoy this global warming winter wonderland! Merry Christmas to all your readers, and many thanks to Anthony and WUWT for your efforts in running this oasis of sanity. 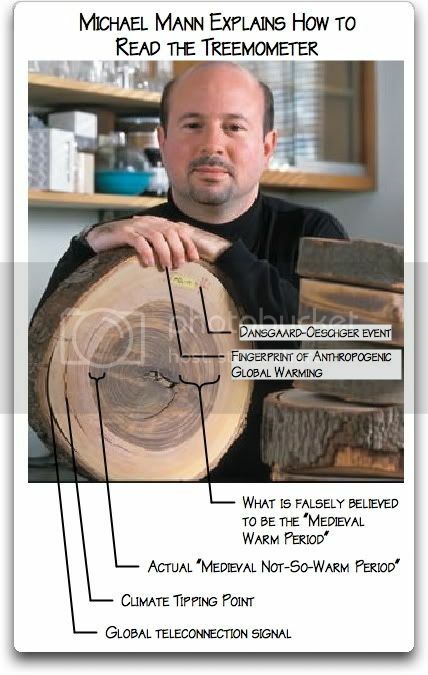 Don’t forget to measure the rings in your Christmas tree to determine the exact temperature record for the past decade. Merry Christmas & wishing everyone a really great 2010! Next year we will land a blushing crow on the AGW crowd. A Merry Christmas to all from Sydney! Here’s hoping for a Happy – and rational – New Year. Merry Christmas Happy new year to all. Merry Christmas to everyone – and special thanks to Anthony and The Mods for an exceptional site. A Merry Christmas to you Anthony, and to everyone who helps or visits WUWT. Thanks for an outstanding site which is hugely appreciated. Merry Christmas to Anthony and moderators. Many thanks for all your hard work, you have started to turn the tide. Merry Christmas to all from South Africa! Thanks WUWT, keep up the excellent work. And in Zulu: uKhisimusi omuhle! Very Merry Christmas to Anthony and the team! Merry Christmas. Don’t forget your sun cream. Merry Christmas Anthony, moderators, contributors and readers. I have greatly appreciated sharing in your insights, acuity and humour. Looking forward to 2010 with you and wishing you all the best. Feliz Navidad to everybody in the global warming / climate debate, specially to Anthony for this his outstanding blog. May all of us keep our minds open and our words respectful for the 2010 debating. Merry Christmas and thanks to Anthony and all at WUWT for shining a light of reason in a dark night of irrationality. Someone should show this to Henrik Svensmark. Cosmic rays affecting the Earth’s climate? When everyone knows it has been humans over the last 100 years or so- the science is settled, doncha know. This must not have been submitted to James Hansen for review. Question: why is the sunspot number 11 when there are no sunspots at all? Have they just not updated the number yet? Just an amateur being curious. Many Many thanks to Anthony and the team for this blog. Wishing all concerned a Merry Christmas and as much skeptical success next year as this year. It has been a hoot! Merry Christmas to all who allow this forum to exist and the contributors that make it so enjoyable to read. You are like a single candle in the dark! Happy Newton’s Birthday today! He was one of the early ones who began the scientific enlightenment full swing away from dogma by decree and whim towards the superior scientific method. He also shows that it’s the work of a scientist that matters, work that can be verified or refuted by others. In the end Einstein was proved more accurate yet Newton is used in just about all engineering projects today (when you cross that bridge or go into that skyscraper your life depends on Newton’s equations) except for those that need to consider relativistic scales (such as the GPS systems for example). So happy birthday Newton! Seasons Greetings. Keep up the amazing work Anthony, Steve and everyone else seeking the facts in an open and verifiable manner. Great Picture! Merry Christmas and Thanks to all of you, scientists and truth seekers. We’re about to get “On the Road for Christmas” (a trucker song by Red Simpson), heading south from Massachusetts to meet up with our daughter and family in Virginia at her in-laws, so here I come to this site run by a weatherman, and—no weather! Nothing but climate! Just kidding. Contrary to Dylan, you DO need a weatherman (sorry—meteorologist) to tell you which way the wind is blowing, and that man is Anthony Watts. Thanks for creating the most valuable time-sink on the Internet. And have a very Merry Christmas! Seasons Greeting and a Merry Christmas to all of you here. The solid, scientific work you and your commenters do here IS making a major difference! THANK you, thank You, thank You!! personality of such legendary importance that we encourage our children to believe … and they grow up to encourage their children to believe, and those childre grow up to……Ah St. Nick…. my hero. Can’t thank you enough for your tireless work. And your positive impact on the global debate. Have a Merry Christmas and a prosperous and wonderful New Year! To all the puzzle people in this great community, a rare sanctum of sanity, thanks for your good manners, your curiosity, endless insights, and broad perspectives. The data provided by NONBH on SC24.com indicates that Dec 25 @ 12:06 UTC, SSN = 11. Whilst SIDC lists today’s ISN as 000. 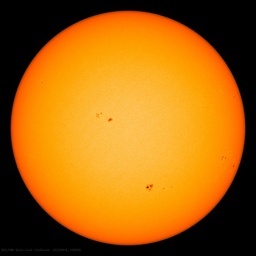 The sun is blank, and yet again we have a sunspot number assigned, and yet again nothing will be done, it will be ignored and when the monthly sunspot number for Dec will be finalized in January, we will be told that SC 24 is ramping up sharply and 2009 did not exceed 2008 in spotless days. Layman’s Count is now the only valid count for this minimum. It would be interesting to see Leif’s comments on this issue. At least the sun has given us a nice spotless appearance this Christmas as reminder of this incredible minimum! Merry Christmas from New Hampshire. Christmas is white, I’m on WUWT before coffee and waking up my wife to get festivities underway. (Gotta work on priorities?) Daughter home from college is being patient. Just to repeat the comments above about this blog and CA and to add my own bit: this blog does such good work and is such a pleasure to read. Thanks to all who work to make it happen. Thanks to all the readers whose contributions make the blog so informative. Like pwl above, I’m a bit of a Newton fan and I shall now celebrate his birthday. My real hero though, is Maxwell. In my opinion, he was the giant who’s shoulders Einstein stood on. Merry Xmas to one and all! God willing the tide has started to turn in the battle against ignorance and selfish vested interests, lets hope 2010 brings a return to sanity and ethics in science. Many thanks from the UK, a nation that in many ways gave birth to scientific endeavor is mired in rent seeking political corruption at the highest levels, it is to be hoped that our American friends can as always lead us away from the darkness and into a new dawn of truth. Merry Christmas from East Texas y’all! Global warming brought a trace of snow and froze our pond over this morning! Cool! Merry Christmas to WWUT and its readership. Merry Christmas to all at WUWT. And thanks for all your hard work. Fröhliche Weihnachten und ein gutes Neues Jahr – to all of you. Merry Christmas from the heartland. Oh is it ever a cold and white day. Return to the spiritual foundations of science for the New Year! Anthony, we need a preview button. Hmmmm, I wonder… Suppose those responsible for measuring the length of the day have been using bad code in their calender models. What if they are wrong, and in fact we are smack in the middle of the coldest NH summer in the history of the earth? A very happy holiday season to one and all. WUWT is like a giant Christmas present awaiting me every morning of the year. Thanks to Anthony and the moderators. You guys do a terrific job. Happy Holidays to all of you truly independent scientists and clear voices of reason regarding the climate . . . this website gives us inspiration. To Anthony and the mods, a very Happy Christmas and a prosperous and insightful New Year. Thanks for the wonderful work you do, and to the rest of the commentors here for making it the wonderful site that it is. You have earned a Holiday Mr. Watts! Merry Christmas, Anthony to you and your crew. It’s been a crazy year, and I suspect the craziness is not over! Nadolig Llawen – thats Merry Christmas in Welsh. Thanks for all you do and have done. Long may it continue – we all need a place of sanity to go to. Christmas Greetings to all at WUWT and to the international commenter community, with an extra bow to the Welsh compatriots! May all your CO2 be produced in the coming year by being happy, by making others happy, and doing charity for the less fortunate. From Canada: Merry Christmas, eh! A very Merry Christmas to all here and to the AGW crowd. We all should work together and to discuss the facts not the politics and decide what is needed. I believe the money spent on AGW could be spent feeding the homeless, helping the sick, and solving the growing energy problems. Thanks Anthony and I’m very thankful for everything I have worked hard to earn and keep. I’m especially thankful for this web blog where we can discuss. By the way 30 DegF here in Houston! Weather no doubt. May the El Nino bring us warmth and comfort, however temporary. My family with two little ones and one on the way is in the U.S. for a few days to celebrate Christmas. Their work brings them “home” permanently next year so this Christmas is especially joyful. Anthony and associates, you have worked to bring both joy and hope to those of us who desire that both science and governance be based on reality, not ideology or greed. WUWT has been a precious gift that keeps on giving. I wish a Merry Christmas to all of you and to the family that WUWT readers-commenters have become. A Very, Merry, 14deg F in Reno Christmas to one and all!! I apologize for an oversight earlier. I’m really grateful to you for setting up WUWT and what you’ve created here. But I’m also grateful to the moderators who have helped you out on this site. And to the countless others who have contributed their time and resources to audit the surface stations in this country. What you’ve all accomplished is amazing. To all of them, I wish a Merry Christmas/Happy Hannukah/Happy New Year! 16F and 3 inches of fat water, on the Ozark Plateau! Cheers Anthony Watts and team. Sure there’s Christmas in China. Santa’s smiling face adorns every supermarket at this time of year here. Merry Christmas to all. From the intellicast map in the U.S. it looks like roughly 2/3 of the lower 48 had a white Christmas. Thankfully, Mother Nature (in addition to this fabulous site, of course!) is doing a good job on her own of cooling down the Warmist hype. May cooler heads prevail next year, and in the years to come. Nice wintertime shot – where was it taken? Thanks Anthony and crew, and best wishes for the new year. Merry Christmas Anthony and all my fellow “Jesters”. Climategate and Dopenhagen were the best early Christmas gifts ever! May we have many more merry times ahead. PS. Anthony, I promise I’ll get the updated Yosemite pics over to you this afternoon. Merry Christmas to Anthony, moderators and commentators. Thank you for all your contributions to a sense of sanity in this crazy world. Merry Christmas, Happy New Year to WUWT, Anthony and all the moderators and thanks for all the “gifts” presented here over the year. Merry Christmas from the great white north!! Merry Christmas and all the best in 2010 to everyone here. Special thanks to Anthony and mod crew; to M&M and to everyone else dedicated to revelation of truth. May all my enemies go to hell! Your forgot Polish. I can help you out: Merzy Krzyszcztmaszcz. Merry Christmas to all – and keep up the good work, WUWT! Merry Christmas Anthony, mods, and everyone here. Been quite a year. Season’s greetings to all fellow sceptics. Never forget that scepticism is the default position of the thinking scientist. In 2010 we’ll bury the warmists once and for all. Merry Christmas from the High Lonesome of NE Oregon! Merry Christmas WUWT! Keep up the good fight to rely upon source data instead of ‘homogenized.’ Remember, it’s so simple, even a sixth grader can do it! Merry Christmas. May the new year bring you even more success. You and others, such as Steve, Jeff, Lucia, ect. have shown that science is not just the private arena of academia and their is still room for the ‘amateur’ to make significant contributions. Breaking news: El Nino quitted his job, he will be taking at least 10 years of sabattical vacations in a southern seas´ remote island. Gledelig Jul (Norwegian) to Anthony, mods and all! We are enjoying a good old white Christmas over here. This year was good thanks to you, I expect the next one to be even better…. Mele Kalikimaka from Hilo Hawaii. Thank you Anthony and crew for giving us hope for the New Year. I’m sure I speak for many folks here when I say that I am extremely thankful for WUWT and its exceptional community of participants (across the whole spectrum of ‘climate views’). This is a great place, and in the midst of so much proverbial cr_p hitting the fan, a source of encouragement. Anthony, While I can’t give you credit for the White Christmas we’re enjoying in Dallas, I did think of you and your wonderful site (it’s weather, not climate). I also thought that as it was nearly 80 on Christmas eve that there was no chance it would stick – yet – we have about 2-3 inches on the ground. Merry Christmas. Anthony, Merry Christmas to you and all those that help keep WUWT going. Merry Christmas from the not so sunny South . Thanks to everyone for the insights you have given me over the last year . Merry Christmas, Anthony, and thanks for your priceless gifts to all of us on WUWT and Surfacestations! Merry Christmas Anthony and all WUWT contributors. Thank you for the presents this year of truth and knowledge in this complex world. May 2010 be happy, healthy and prosperous for all who visit here. Merry Christmas from California! It’s a crisp, chilly, blue-sky day here in Southern California. I woke up and saw frost on my neighbors’ rooftops. Anyway, thank you for all your work keeping us informed about the agw hysteria. Thanks to WUWT, http://www.CO2science.org, joannenova.com.au and many others for heroic efforts in opposition to the Club of Rome ideology exposed by sites such as http://www.green-agenda.com. Note that the ‘bad guys’ have lots of funding and the ‘good guys’ depend on personal efforts and contributions. So, if you can afford it — send the good guys some holiday cheer. Next year, the good guys gonna win! God Jul och Gott Nytt År from Sweden! Plenty of snow here (but we’re used to it). Al Gore did his job – bringing us a white Christmas! Hope everyone enjoyed a festive day. Thank you, Anthony and Crew for a wonderfully refreshing, honest and clear feast of information. PS we had a beautiful cool day in Toowoomba 27C. Merry Christmas to Icarus, Phil Clarke, Joel Shore, et al. God Jul ! Merry Christmas ! Och ett Gott Nytt Ar ! And a Happy New Year ! Happy Christmas to all – keep up the good work, WUWT. We can only hope that sense will prevail. The best to you and your loved ones. The inventor of the flintstones universe! The number of Christians in China has grown quickly. I heard a man who is there a lot, Dennis Balcombe, that they number in the 100,000,000’s. So yes Virginia, China has Christmas. Mele Kalikimaka, kanes & wahinis! If your interested in the reason for this day, I have a series on my youtube Channel of this guy. Merry Christmas!!! Thanks for your great work against the Climategaters. Lo! A savior is born! The United Nations is said to be the face of the international, global community. Not true. It is only a parody. Here, today in this post, we see the true face of the international community of all who seek truth. How many different nations and cultures are represented? Many! All who added comments to this thread wished the joy of this Blessed day to all others who partake of Anthony and his moderators’ superb and selfless giving of their time, skills, and knowledge to make this happen. So, in the Spirit of this Season, I can only humbly add my wishes for the Merriest and most joyous of Christmases and the Happiest of New years to all. Mitochondrial DNA shows a relationship that two people have with respect to a common female ancestor, yes? This movie fragment claims that there is no mitochondrial similarity between two samples from the same tomb – one male and one female – so deduces that they must have been husband and wife. Could they not also have been father and daughter? Feliz Navidad y Prospero Ano from the chilly Southwest USA. In contrast, enjoy the cool in the 2% of the world that is the continental United States. May your holiday bring you peace and the New Year much joy. Merry Christmas to all, and my thanks to, Anthony, Steve M, Lord M, Richard Lindzen, John Christy, Roy Spencer and Willis Eschenbach and to everyone else who has helped to fight for the truth. Merry Christmas! Kool Yule! Feliz Ano Nuevo! Happy, errr . . . , Merry, errr. Well a Positive Whatever the heck we’re allowed to say in New York without getting sued or arrested. 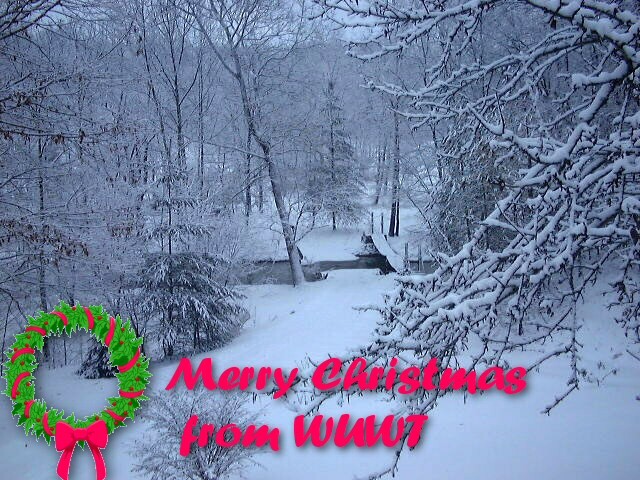 Merry Christmas and Happy New Year to you, Anthony, and your great team and contributors at WUWT. Thank you so much for your efforts towards creating a safer and saner world. I have a huge professional background in research management, computer modelling and investment economics, yet without the communications infrastructure you provide, I would not be brave enough to stand out from the crowd and take a position. Yes, they could be father and daughter. Or paternal uncle and niece.. .
We are having a wonderfully white Christmas in Calgary it’s about -5C and a bright sunny day. Isn’t “weather” wonderful? …and may the warmth of the holiday spirit warm our hearts and not the data. As of 30 minutes ago I can now announce with absolute certainty that PDO is very strongly related to geomagnetic aa index. This result cannot be established via traditional linear-correlation methods. Cool Christmas wishes to all who have a warm home. Warm Christmas wishes to all who have been left out in the cold. I would wish you a Merry Christmas too, but here in Seattle (50 sq. miles surrounded by reality) it’s a politically incorrect no-no. Keep running the best blog anywhere bombarded by cosmic rays. There is a Santa Claus and his helpers: Anthony Watts and his moderators. They bring the most precious gifts of all: reason and truth. Merry, Merry Christmas to all, but especially to the skeptics who contribute to this blog–it’s nice to know I’m not alone. Mike, in Poland on the “Wheel of Fortune” game show, do you get to buy a consonant instead of a vowel? Christmas has now passed in Australia with much of the north-east having rain, best Christmas present that many of us could hope for. Peace and best wishes to all. Merry Christmas, peace on Earth and love to you all. Merry Christmas, Anthony. Thank you very much for this web site. Merry Christmas and Happy New Year to all from Ohio. Thanks for the reply. I thought maybe I was asking an ignoramus question. Just checked (8:47PM, CST), the number is still 11 with a blank sun. Maybe they’re on vacation today, last update was 12-24. Just checked Solarcycle24.com and they also show a sunspot number of 11 even though they update every 2 min. and definitely show a blank sun for Friday with 1 day since the last “official” sunspot. Hmmm. There were signs in the NP pattern this October as a precursor to this type of pattern, it has manifested quite well…. Happy Christmas and Merry New Year to everyone from cold and snowy Central NY, USA. Keep your attention focused on the Mount Mayon volcano in the Philipine Islands. The Philipine government has evacuated 50,000 nearby residents, has raised the alert level to “4”, and is expecting an imminent spectacular eruption. We may see “Volcanic Winter” in 2010. Thanks to Anthony, the mods and everybody the world over who searches for truth. Speaking of ground truth…..I’ve never seen snow drifts where I live before…..But I did today…….darn that global warming!! It was beautiful on the Ozark plateau though. Last night we had 30+ mph winds and blizard conditions. Another greeting from Thailand, Sawatdi Pimai krup. Thank you so much for your hard work on this site and warmEst (not IST) greetings to all my friends who have realised the profound implications of the AGW zealotry: knowingly or not, it is an attack on the scientific revolution and the scientific method; combined with an attack on the fossil fuel driven industrial revolution that however fallably, continues to underpin the enormous advantages we have in living in today’s world. WUWT generosity is appreciated year-round. Aww. And a merry Christmas to you, Anthony & comment moderators, from us commenters. Belated good wishes for a Happy Christmas to All at WUWT. My thanks for all the hard work and interesting reads on this wonderful site.